Melasma is a skin problem which causes brown to gray-brown spots, usually it happens on the cheeks., bridge of their nose, forehead, chin, and above their upper lip. It happens on the body where sun exposes like forearms and neck. Melasma targets on women more than men’s skin. Almost 90% of people who get melasma are women. Based on research, people with darker skin are more likely to get melasma. So what causes Melasma? Sun exposure is one of the reason, UV light stimulates the melanocytes. And once when the melasma fades out, if it is exposure to UV light again, people will get it back again. So sun protection is very important when it comes to treat melasma. Another reason will be the change of hormones. Usually it happens during pregnancy. Taking birth control pills will also cause melasma once when stop taking it. The last reason will be using a wrong skin care product, anything that makes your skin irritates, it will makes melasma getting worst. 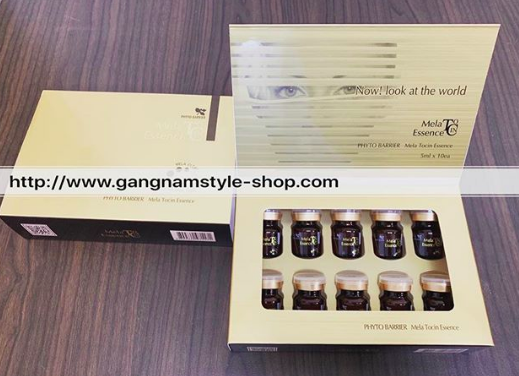 Melatocin Essence is the perfect Anti-Melasma therapy developed by BR Research Institute of Korea. The main ingredients of Melatocin Essence are tranexamic acid, hemostatic acid, vitamin C, niacinamide, kojic acid, etc. These formulas can even out skin tone and reduce skin damage from aging, provides the greatest satisfaction for patients who are eager for healthy skin. You can see great result even after 1 session of micro needling treatment with Melatocin Essence. The program is specifically design for the treatment of chloasma, freckles, pigmentation and uneven skin tone. 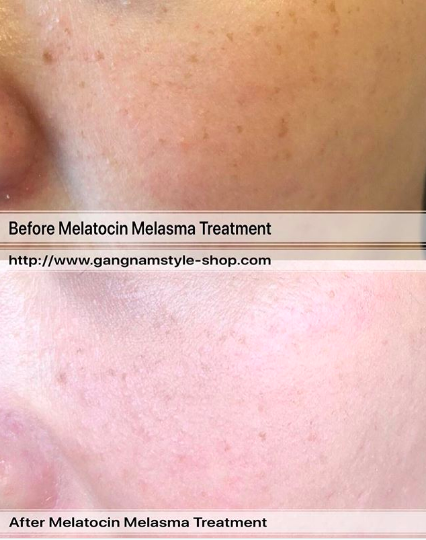 Melatocin Essence can inhibit melanin production effectively, it has a significant effect on the treatment of melasma. Blocks the melanocyte-producing substance plasmin, preventing its activation and inhibiting melanin production. Prevents the production of melanin in melanocytes and inhibits the activity of tyrosinase. It can reduce the existing melanin and help to dilute its color. Inhibition of melanin synthesis induced by keratinocytes. Create natural and transparent skin. One vial each treatment on the face. Apply it directly to the face, avoiding the lips and the eye area. It can be apply using an iontophoresis skin care device or apply using a MTS electric microneedle. After the procedure, use the LED yellow light for 20 minutes. Apply Glamour Bio-Cellulose repair mask for 20 minutes for skin clamming. Finish the cleaning work and apply sunscreen after procedure. Once a week, it is recommended to have five treatments, which can be adjusted according to the patient’s skin condition. Each vial of 2.5ml mix with distilled water or saline, it is recommended to mix 1:1 ratio. Please apply sunscreen during the treatment period. Do not go to sauna or excises within 2 days after treatment. 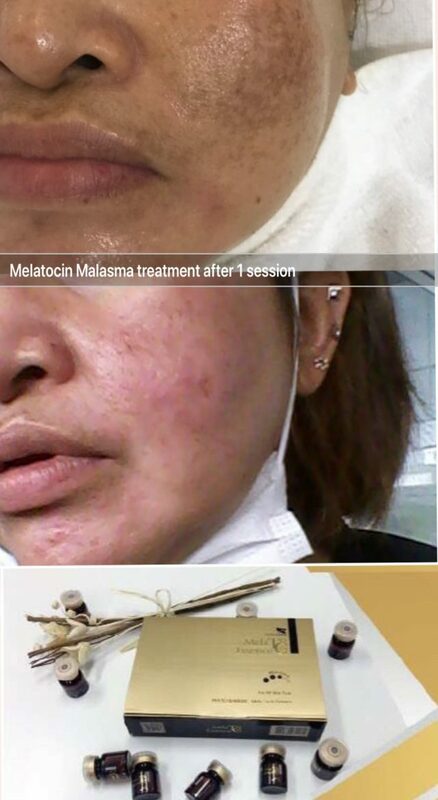 This entry was posted in Melatocin Essence, whitening injection and tagged melasma treatment, Melatocin Essence, whitening.